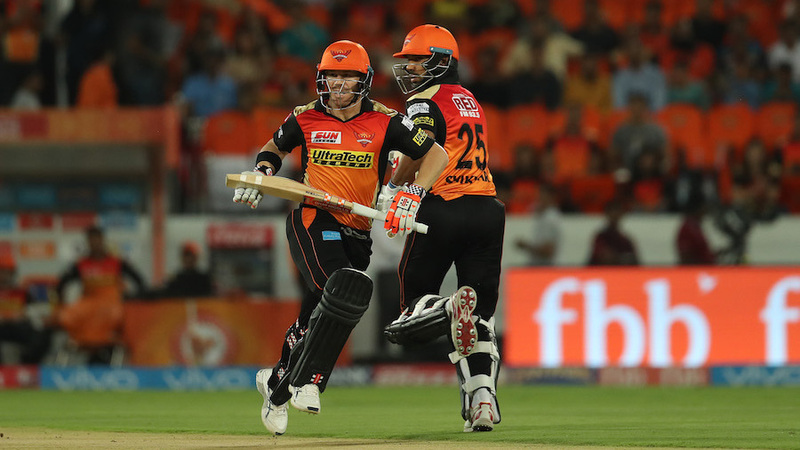 Against the third-best best attack of this IPL, David Warner scored a sensational 126 off 59 balls as Sunrisers Hyderabad served notice to the two table-toppers with a dominating win. 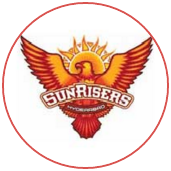 Kolkata Knight Riders, Warner's victims on the night, and Mumbai Indians still remained at the top of the table with 14 points, but Sunrisers were now breathing down their necks, just one point behind. 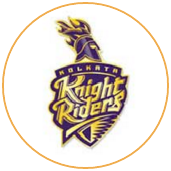 Some of the best batsmen in the world watched and tweeted in awe as Warner took the Knight Riders attack through the shredders. 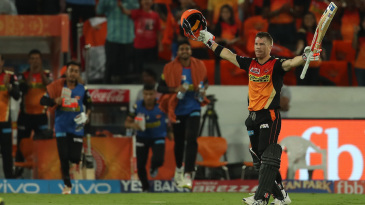 It didn't make as much noise as Chris Gayle's 175, but at one stage Warner threatened a double hundred. This was the fifth-fastest IPL century, but the amount of strike Warner took made the big difference. He reached his century in the 11th over, having faced 43 balls by then already. His share of strike reduced in the following deliveries - 16 out of 32 - and he eventually perished playing yet another big shot.